That photo, in an instant, conjured up an excitement and a warmth and a connection to a part of the world I have never before travelled to. 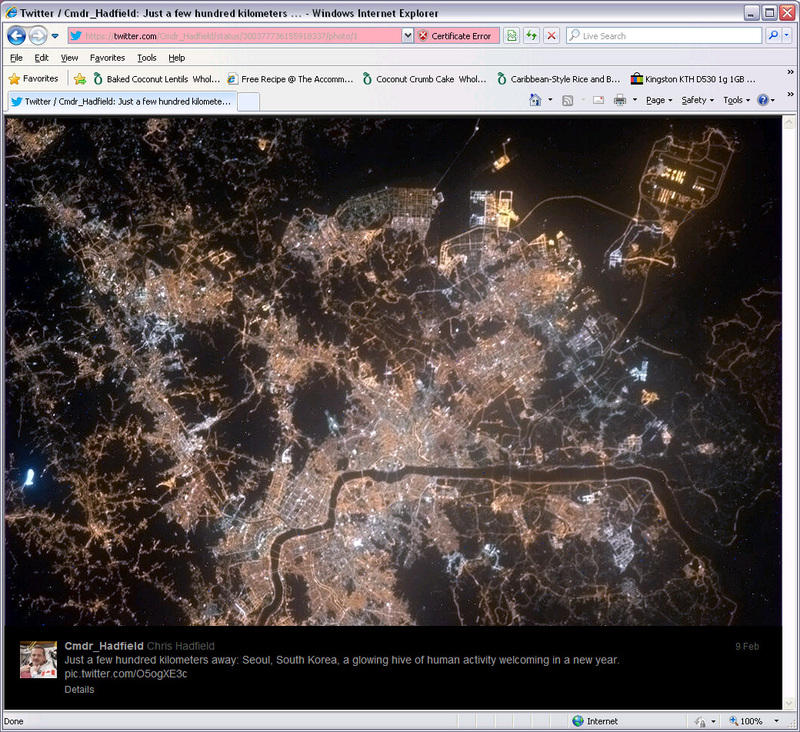 I found myself imagining what those beneath these lights seen from space were doing as the photo was snapped and dispatched. Enjoying breakfasts with their families? Huddled in front of their Twitter accounts? Racing through their day to complete all of their duties and wishes? 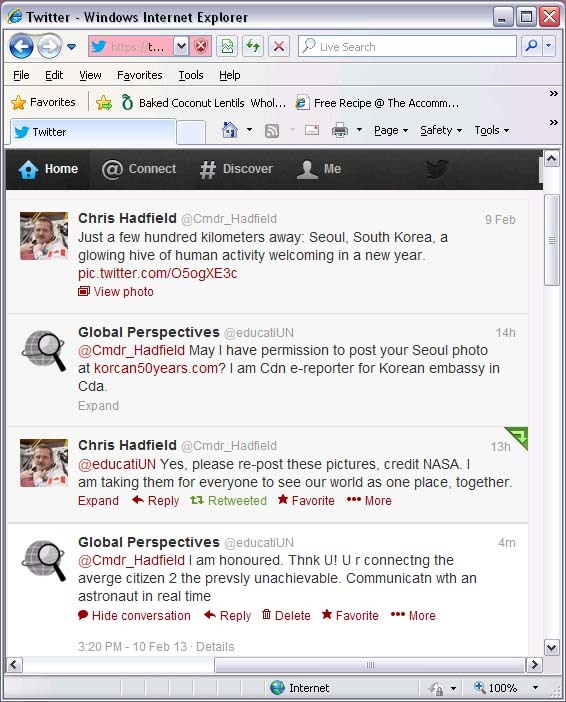 I will never know what the citizens of South Korea were up to at that moment, but what I do understand now is how important the endeavour of Chris Hadfield ( @Cmdr_Hadfield) is, in order “for everyone to see our world as one place, together.” I do understand the importance of curiousity and wonder, that we must inspire and encourage others to learn about other worlds, both on earth and above. I challenge Koreans and Canadians, and all world citizens, to find out more about what goes on in homes and communities in each of our retrospective places. Introduce yourselves, ask questions, find commonalities and most of all, remain friends. Friendship and harmony is the goal of the universe, and you can feel it too if you take the opportunity to have your eyes opened and your soul widened by small things like the beauty of a city captured in a tweet from space.